Last week, The Beaches of Fort Myers & Sanibel joined in a historic “shellebration” by shattering the world record for the largest human image of a seashell. 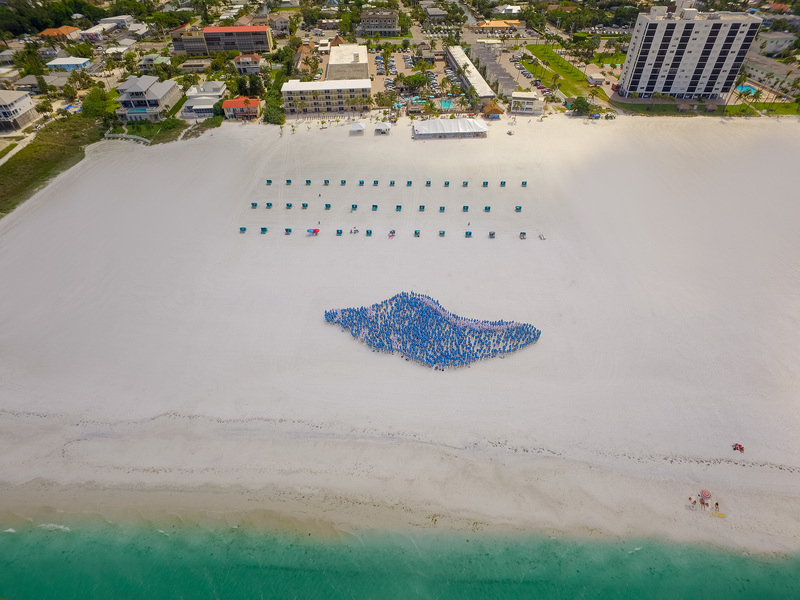 1,093 registered participants came together on the shore behind Outrigger Beach Resort on Fort Myers Beach to form an enormous seashell, verified by a Guinness World Records™ adjudicator on-site. MMGY developed National Seashell Day three years ago. The shellebration occurs every year on June 21, the first day of summer, as a way to spotlight the joy of shelling with the perfect summer getaway.